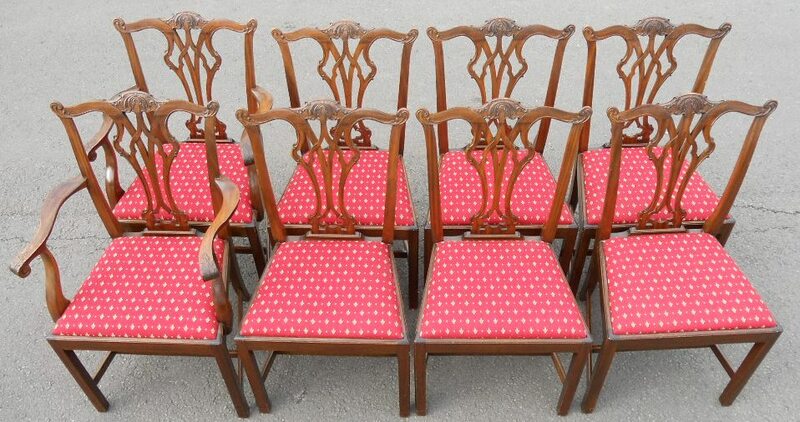 Set of eight mahogany dining chairs. 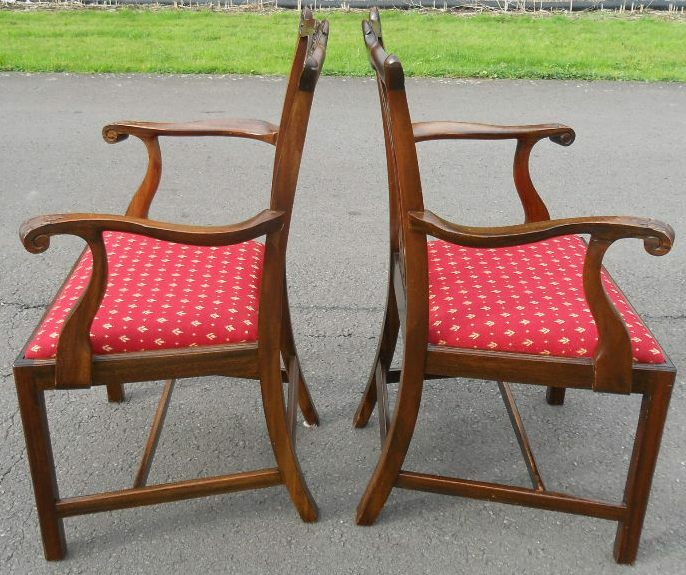 Two carver armchairs and six matching single chairs. All chairs are raised on square forelegs and having drop in seats in a red pattern fabric. 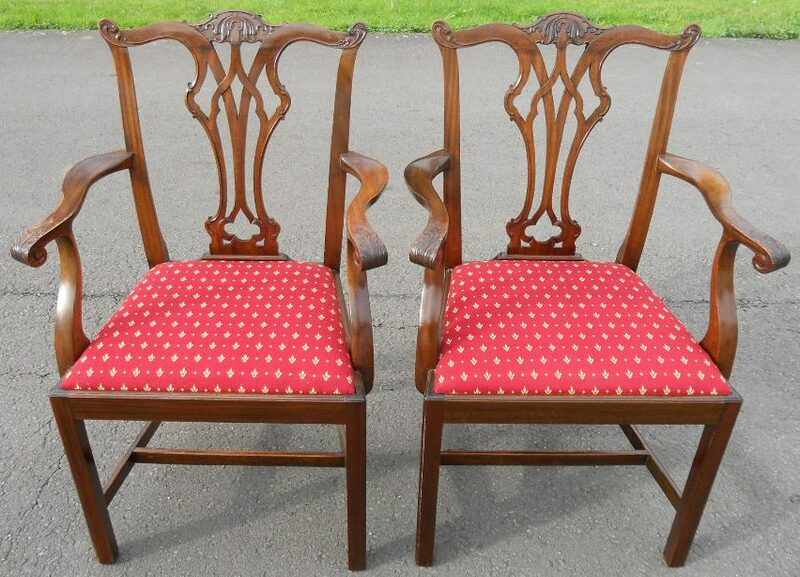 Strong and sturdy this attractive set of eight antique style dining chairs are in good condition.